Wednesday afternoon, at three o'clock, I turned in the editorial revisions of Black Hawk. Now I await the copyedits. We are just moving along at a rapid clip. And Black Hawk is scheduled to hit the shelves on November 1. -- The refrigerator is full of boxes of Chinese carryout. -- The milk is sour. -- There are no clean clothes. There are no clean dishes. -- You find yourself mentally moving the commas around when your daughter speaks. -- There is no dog food. There has not been any dog food for some time. No one is saying what the dog's been eating. -- Your three koi have mysteriously transformed into four goldfish. -- Every surface of every room in the house is covered with stuff. -- The rug is the color of cat hair. It didn't used to be. -- A cold, stiff, mummified piece of pizza lurks in the toaster oven and nobody remembers putting it in there. -- You have 1687 messages in your inbox. -- There's a pile of newspapers at the bottom of the drive. -- Outside, in the planter, the mint has died. -- Your head is stuffed with something. Styrofoam? -- You do not merely fall asleep sitting up. You fall asleep standing. -- Someone asks, "Is this the book about Adrian Hawker?" and you can't remember. -- You hurt. Everywhere. The words carpal tunnel syndrome are mentioned. -- Your desk is two feet deep in advertising flyers and bills. -- The nice people from the electric company are calling to discuss nonpayment of some of those bills. -- Your feet stick to the kitchen floor. -- You plan to hire somebody in a HazMat suit to clean the refrigerator. -- The Dust Bunnies have declared your house to be a Dust Bunny Republic. They are printing up postage stamps. Now is probably not a good time to admit that my house fits this description and I am not on deadline. This one time of the year I have an EXCUSE for all the disruption and untidiness. Oh how I WISH to have at least ONE EXCUSE! Thanks for making me LOL today!! There's some saying about a clean house is the sign of a life misspent. I take comfort in this. This list made me laugh, particularly this bit: You find yourself mentally moving the commas around when your daughter speaks. Sleep deprivation makes us all grammar fiends! You hurt. Everywhere. The words carpal tunnel syndrome are mentioned. Ibuprofen and ice, stat! I think I gave myself tennis elbow three books ago. Ugh. Someone asks, "Is this the book about Adrian Hawker?" and you can't remember. We all remember, though. :) The anticipation, it is killing! I keep thinking something and adding, 'she thought' at the end. I am so sorry to hear about the tennis elbow. Ouch. My shoulders go bad on me. This is the first time I've had a wrist do it. Turns out I need to add another little chapter. I will now re-enter desperation mode and go write about 1000 words. This list is great--as well as the clean house quote you mentioned. Thanks, Jo. LOL. This is why, the last few weeks before deadline, I tell the dh that it is his turn to be the wife. Sometimes it works. The first thing I do after I turn a book in is to clean the refrigerator. It's become something of a ritual. The *mint* died? Jeez, that's really saying something. I bet it's not really dead, though. Mint has great recuperative powers. That's what I thought. The MINT?!! So maybe it'll come back. I'm imagining I see bits of it curling around the edges of the Chinese parsley. The Chinese parsley, which I don't use a lot of, is just abundant everywhere. The mint -- which I need lots of to dry for tea -- is all stricken. The lavender isn't looking happy either. Mint and cloves make an interesting tea. Ditto mint and ajwan seed (about 4 to 1). Both of these teas should be simmered a little while -- good hot or cold, although I prefer cold. Congrats on finishing the editorial revisions - you're one step closer! Lovely cover, by the way! ROFL I really needed to read this today. My house looks like this and has since I started my revisions. I want to have them finished by Nationals and I would really like for my house to move at least one step above NATIONAL DISASTER by then! Y'know how all those great novels have a line somewhere in the ACKs ". . . and finally, I wish to thank my wife, Matilda, without whose support this book could never have been completed." I have one little bit of writing I just desperately have to do. It's not much. But . . . look . . . a writer is supposed to sit down and WRITE. Not supposed to wander around hoping to get mugged by inspiration like some kind of undercover vice cop in New York. will NOT COME TO ME. Y'know . . . Print publishing is knee deep in hurry-up-and-wait. There seems to be just an unholy amount of stuff that has to be done by the publisher after you turn in your final draft. I am, (almost) done with Black Hawk. (which has not turned out to be as dreadful as I thought it would be, by the way.) I'm 'putting it away' in my mind, as it were. Five months from now, round about November, when folks actually get to READ Black Hawk, I will be all, "What? Oh. Yeah. Umm . . . let me think," about Black Hawk and into sowing and furrowing and weeding something else in the fields of my mind. I talk about deadlines on the novel as my excuse for domestic negligence. But there are endless sorts of disruption that hit us all. You can fill in the whole list of not-horrible-but-full-of-emo life crises kids engage in and they were ALL happening while I was trying to write this bloody book. Now, above, I speak slightingly of the everyday things we do to make a warm and pleasant home. I shouldn't. It's valuable work and accomplishes more than we ever know in this world. We are all harried by work and obligation and our own needs. It's not confined to folks who have manuscripts clawing at their back. I figger anybody who EVER gets the kitchen floor clean has performed minor miracles of time juggling. I have never been able to clean the refrigerator all at one time. It is such a big job, I get dismayed. I have a dozen 'zones' of cleaning, and I do them kinda one after another, all the time. So, I'll clean out the lower vegetable bin this week and the upper bin next week and . . . There are a surprising number of refrig bits that can be put through the washing machine. Yep. I'm coming up for air, just at the moment. I cross-posted this over in the Forum, not wanting to waste a perfectly good bit of writing. I do like the cover. It's a nice composition. Very pretty. Beyond that -- the clothing is not blatantly out of period, the man on the cover is the right coloring, and that background is most wonderfully Parisian. Somebody put some time and thought into that cover and I am very grateful. A writing friend wrote to me just yesterday, saying that pretty covers were all very well, but she wanted a cover that SELLS. So we will hope it does that too. I have to depend on my publisher for a good cover, because I have no visual artistic sense whatsoever as near as I can tell. My house is somewhat cluttered and . . . the word I'd like to use is cozy. The phrase -- "Oh My God! Somebody broke in and trashed the place!' -- would not be totally inappropriate, however. I am wary of cloves in a tea mixture. It does tend to be overwhelming. This may just be because folks add too much. IF I get my mint back or buy some more to replant, (which I will regret doing, because had a lovely strain going,) I will try that. Where I lived once, a number of years back, you could just walk down to the stream and pick fields of mint to your heart's content. Not so much, here. It gets very dry in mid summer. This made me laugh so hard....add me to the list of those whose houses look like this without the excuse of a deadline (only for me it's rugs covered with cat AND dog hair--white dog, black cat, very yin-yang around here). SOOOO glad to know Adrian's book is nearly done (despite your suffering). And if *you're* willing to admit it's not wretched, that means it's going to be excellent indeed! WOOT! An anthropologist from Mars, watching me, would conclude my profession is hair-picker-upper. Love the zen approach to hair. LOL! My Friend Susan Heino writes Regency for Berkley. On deadline she looked at her daughter, said, "Jake, pls.let the carpet out. It keeps moving." Her son is Jake. There was a carpet but no one is sure where it went. And her many cats and dogs had been eating the leftovers in the takeout containers littered about. The last she considered a blessing. I do not know what people did before carryout. OTOH, thinking about it -- carryout is pretty ancient. Hilarious! Good luck with the last part of the book. It's shaping up in my mind. I'll sleep on it tonight and do work on it tomorrow. "But when would I get some, said the child?" Re cat and dog hair--I gather Roomba can be really good on this, although I don't know how the dog and cat would react to the machine. And I have to now block out NOVEMBER 1 on my calendar--I cannot wait! If you think it turned out better than you expected it will be amazing. Better than I expected is still not very high on the ""Oh, Wow! scale."" I will get to see it again twice more -- in the copyedits stage and in the galleys, but that is mostly checking for typos and catching misattributed pronouns. I have thought longingly of a roomba. Hmmmm .... perhaps I have a little couple-week space of time when I can look into it. I knew my son would be an engineer when I saw him -- age four -- sorting his crayons by size and color. Is that the cover? I can't say I've pictured Adrian with shirt open to his waist, but I understand the point of these covers is to sell books. Will stick to my own imagination of Adrian. great post! very funny. I'm pleased with the cover, akshully. I do hope folks find it appealing and sensual. My own reservation with the cover is that the fellow doesn't look much like Adrian-in-my-own-mind. I see Adrian as thinner faced and, well, tougher looking. I have to admit, I have a VERY STRONG head picture of what Adrian looks like. I almost feel like covers shouldn't show the protagonists. It always jars with what we see for ourselves. I do like the cover. but see Adrian as more gaunt, having such a difficult first 10 years and such. I'm not sure . . . but this might be the same cover model they used on the MM Spymaster's Lady. You know it's bad when the "MINT" dies. Mint is about as formidable as a plant gets. Having said that, I am so glad that your next book will be out. I am looking forward to it. I must reassure you that the mint came back. It's sitting out behind the back door, sniggering at me every time I walk by. I'm delighted with the cover, overall, because I think it will serve its primary function. Folks will look t it and think -- 'Historical Romance'. The hero or heroine on the cover has the same basic coloring as described in the novel (I've bought books with a brunette cover model and found a blonde hero/heroine inside). The person on the cover is objectively attractive (sadly this is not always the case- ask Suzanne Brockmann). The cover in any way references something important to the story, setting, time period etc. The cover is in some way aesthetically pleasing enough to tempt someone to pick it who knows nothing about it or the author. I would say this cover succeeds in all the above points. 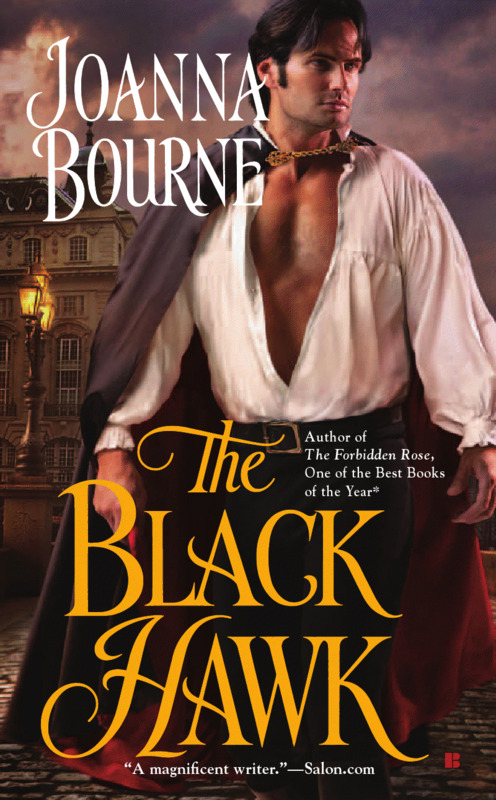 As many have said, the cover model is not my idea of Adrian (who I also don't imagine running around with his shirt open, he seems more particular than that) but he is attractive, brunette, obviously in "historical" clothing and, as Jo mentioned, the background strong suggests Paris- so I call this a win! I like the thought of a 'pretty cover'. One that catches the eye and is objectively well designed. I think Historical Romance genre does not invite original covers, the way Urban Fantasy and Steampunk do. I get envious of Urban Fantasy covers, though I have to admit I can't see Historical Romance heroines crouching, partially clad and much tattooed, on the cover.